DENVER, CO – Judy’s dream was to be a missionary to the missionaries. In addition to working part time for a church, she also tried several different things to make enough money to achieve her dream. She spent over $80,000 on her real estate education alone, including working with the Trump Institute, and all of which never quite got her over the hump. Deeply in debt, she vowed to give it one more shot. 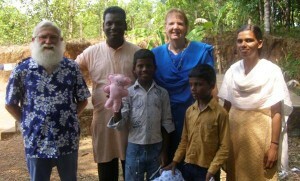 Judy is now a full time real estate investor living her dream of being a missionary to the missionaries. This program was the game changer in her life.